Due to the sudden demise of honorable Chief Minister Amma, all Anna University examinations scheduled between 06-12-2016 to 08-12-2016 are postponed. Dates will be intimated later. Nov - Dec 2016 Examination Scheduled on 06-12-16 are Likely to get Postponed due to expected Chaos in Tamilnadu Tommorow. 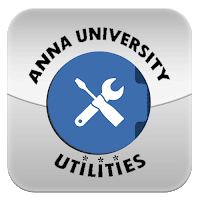 Since the Annauniversity haven't announced it Official yet . Students are requested to Continue with their Preparations till the official Announcement.